Today I have a guest post from Kelly at Kelly Cox at Home. I’m passionate about budgets! Yet, they seem to get such a bad rap. 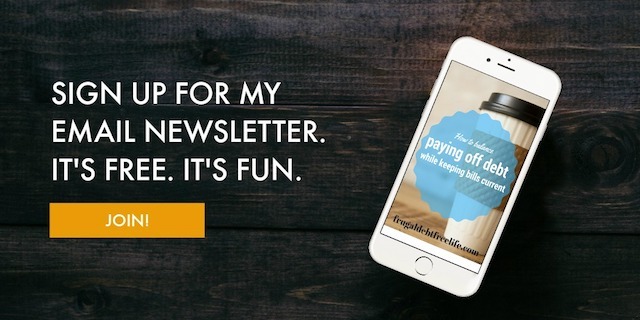 I consistently talk with people with the mindset that budgeting is restrictive, a waste of time and a one way ticket to “no fun.” (Like ever again…) While that is one way to look at it, I feel like our budget has actually simplified our life! Thankfully, my husband and I jumped on the budget bandwagon from the beginning of our marriage. We quickly found that budgeting provided us with financial freedom rather than restriction. Now that being said, a budget is simply a plan. Fluctuations will happen but even with that ours has simplified our life, home and finances. Plus, our budget made us get intentional with our finances, and we now live a frugal debt free life. 1. We have fewer arguments. While we need to stay committed to what we agreed upon, the disagreements are less because we decided in advance what and how we planned to spend our money on. 2. We’re granted permission to spend! We wrote a budget that tells each dollar where to go. This concept gives us permission to spend. A pretty cool way to think about budgeting! Also, we set a goal to save at least some money each month and just operate our budget around that plan. The great thing about budgeting is that you can be strategic in how you save and spend your money, including paying down debt. 3. Thankfully, we are able to give more. Since we started budgeting, we’ve learned how to give more generously. I’ve been amazed at how much we can give simply because we are tracking our money and know where it’s all going. We find it simpler to give because we budget it into our spending. Before our written plan was in place, we wondered how to give and still cover our basics. Now we know it’s possible and include the joy of giving into our budget. 4. We worry less over money. Budgets enable you to have less stress. Why? Those that budget know more about their income, expenses and future financial goals because they spend time thinking about them. Knowing where you are heading is simpler and easier to handle than worrying over how you’re going to pay your mortgage or keep the lights on. Budgets enable you to squelch worry because your plan is in place and you are able to relax instead. The unexpected is inevitable but it’s easier to deal with because you are handling your finances more strategically with your budget. As you can tell, I believe in a budget! We’re blessed with a simpler life because we wrote one. Thankfully, ours has helped us to give more while worrying and arguing less. This so works for me! Budgets are worth the effort, and you’ll see the fruits of your labor as you handle your finances more intentionally. Kelly is a Christ follower, blessed wife, mom to be and a lover of all things home. She blogs over at www.KellyCoxAtHome.com about her journey at home and passion for debt-free living. She hopes to encourage others in that goal, while sharing tips on how to manage and enjoy all things that make up HOME! Follow along with Kelly on Pinterest, Facebook, and Twitter.